Biohacking : Wim Hof has an App « Adafruit Industries – Makers, hackers, artists, designers and engineers! 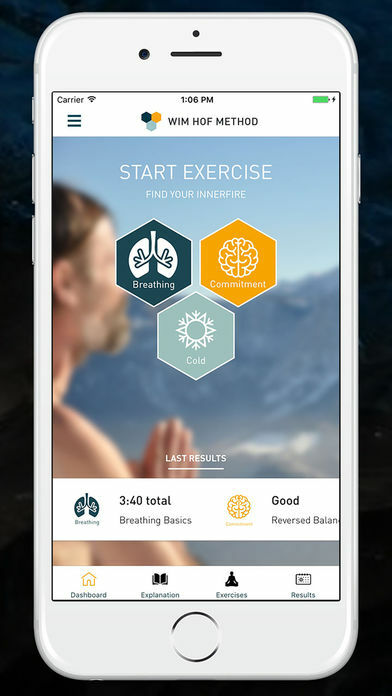 Available for both Android and iOS the Wim Hof Method (WHM) is designed to ignite your inner fire. The app features a series of videos focusing on cold exposure, breathing and exercises such as pushups. While much of the content could be found through Youtube videos the $4 app makes monitoring your commitment and progress significantly easier by keeping a calendar and counters for the different exercises.